ALCOHOL IS LINKED to around 2.8 million deaths a year across the world, making it the seventh leading risk factor for premature death and disability in 2016. The authors of a new study suggest there is no safe level of alcohol as benefits against heart diseases are outweighed by the adverse effects on other areas of health, cancer in particular. An average of one in three people, or 2.4 billion people drink alcohol – 2.2% of women and 6.8% of men die from alcohol-related health problems each year. Alcohol was also associated with tuberculosis, road injuries, and self-harm among people aged 15-49 years old. 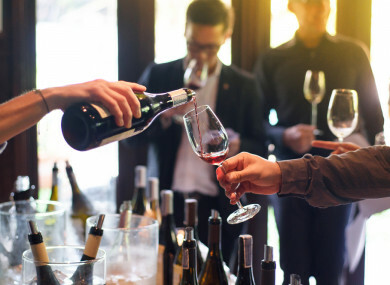 The findings were published in a Global Burden of Disease study published in The Lancet that estimates levels of alcohol use and health effects in 195 countries between 1990 to 2016. The study’s authors estimate that, for one year, in people aged 15-95 years, drinking one alcoholic drink a day increases the risk of developing one of the 23 alcohol-related health problems by 0.5% compared with not drinking at all (from 914 people in 100,000 for one year for non-drinkers aged 15-95 years, to 918 in 100,000 people a year for 15-95 year olds who consume one alcoholic drink a day). What does alcohol actually do to your body? Alcohol has a complex association with health – there are a number of ways it can affect your health. Drinking alcohol regularly can damage your organs and tissues; acute intoxication can lead to injuries or poisoning; and alcohol dependence may lead to frequent intoxication, self-harm or violence. Some previous research has suggested that low levels of consumption can have a protective effect against heart disease and diabetes. Other studies have found that drinking alcohol in moderation can have benefits in some cases – for example this study from earlier this month found that those who abstained from alcohol in middle age were at increased risk of dementia than those who drank within the recommended daily guidelines. But the authors of this study said that they found no evidence of this. “Previous studies have found a protective effect of alcohol on some conditions, but we found that the combined health risks associated with alcohol increase with any amount of alcohol. In particular, the strong association between alcohol consumption and the risk of cancer, injuries, and infectious diseases offset the protective effects for ischaemic heart disease in women in our study. “Although the health risks associated with alcohol starts off being small with one drink a day, they then rise rapidly as people drink more,” says lead author Dr Max Griswold, Institute for Health Metrics and Evaluation, University of Washington, USA. “Policies focusing on reducing alcohol consumption to the lowest levels will be important to improve health. The study used data from 694 studies to estimate how common drinking alcohol is worldwide and used 592 studies including 28 million people worldwide to study the health risks associated with alcohol between 1990 to 2016 in 195 countries. In the study, a standard alcoholic drink is defined as 10g of alcohol. Previous studies looking at these risks rely on self-reported surveys and alcohol sales data to estimate consumption levels. These have limitations, including that non-drinkers may avoid alcohol as they have health issues, they do not take into account types of alcohol that are not purchased (home-brews), and most studies assume that not drinking minimises risk but do not study the association to confirm this. The new study combined alcohol sales data with the prevalence of alcohol drinking and abstinence, self-reported data on the amount of alcohol drank, tourism data to estimate the number of alcohol-drinking visitors to an area, and estimating levels of illicit trade and home brewing. The Lancet said that it also includes a new, more robust systematic review and meta-analysis of alcohol consumption and the associated health problems, which used specific controls to reduce confounding factors. It also used a new statistical method to estimate the risks related to drinking between 0-15 standard drinks each day. The authors used this to estimate the amount of alcohol exposure that would minimise an individual’s risk of alcohol-related health problems. Email “Alcohol is linked to 2.8 million deaths worldwide each year”. Feedback on “Alcohol is linked to 2.8 million deaths worldwide each year”.